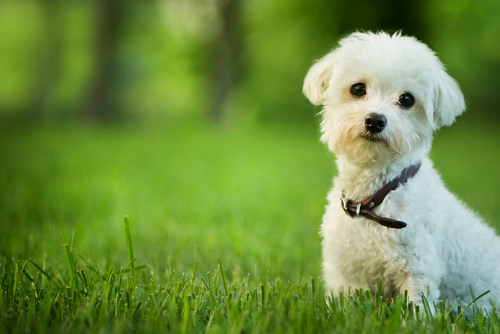 You will find plenty of pet-friendly dog parks around the Sarasota and Bradenton area. So, if Fido is begging to get out of the house, why not treat him to an outing at one of Sarasota or Bradenton’s numerous dog-friendly parks? 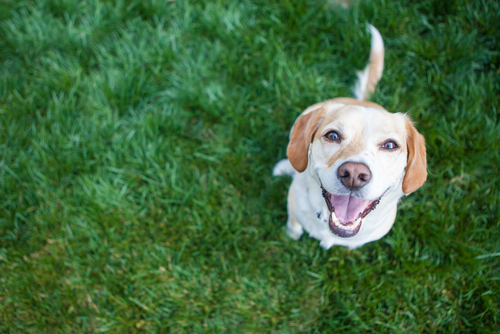 Did you know that Sarasota County alone has over 60 designated dog-friendly parks? If that seems overwhelming, don’t worry. We have you covered. Below is a list of the best dog parks in the Sarasota, Bradenton and Lakewood Ranch area. Be sure to check them out! 17th Street Paw Park (4570 17th St / (941) 861-7275) is a hidden gem in the heart of Sarasota. This off-leash dog park features water stations, shaded areas with picnic tables, and two designated areas for large dogs and small dogs. An added bonus is the agility course at the back of the park which provides endless fun for both dogs and their humans. Arlington Park (2650 Waldemere St / (941) 316-1346) has activities for the whole two-legged and four-legged family. Featured amenities include a lap pool, instructional pool, basketball courts, tennis courts, a paved walking trail, a gymnasium, and an off-leash dog park. As the Parks and Recreation department says, “Find your home away from home”. Bayfront Park (2 Marina Plaza / (941) 365-5318) is the jewel of the bay. Located next to Ringling Bridge in downtown Sarasota, this scenic park has trails, picnic tables, and great restaurants. O’Leary’s Tiki Bar, located in the park, is a pet-friendly outdoor restaurant with a beautiful view of the sunset on the marina. See the light reflect off the water with your pooch by your side and a daiquiri in hand. Canine Club (North Side of Gillespie Park, 710 N. Osprey Ave. Sarasota) This is a dedicated dog park in the heart of Sarasota. Inside the city’s newest dog park, you will find fenced areas for big and small dogs. Plus, dog fountains and leash-free areas for dogs to play and socialize. The some of the playground equipment has been updated too. Celery Fields Regional Storm Water Facility (6893 Palmer Blvd. Sarasota) Open 6 AM-Sunset. Dog-friendly and a leash is required. This beautiful natural habit is favorite spot to not only dog lovers but bird watchers as well. There are picnic areas and restroom facilities too. Culver House Nature Park (7301 McIntosh Rd. Sarasota) Enjoy this natural habitat with you dog. This park offers a nature trail, a picnic area and wildlife viewing. Creekwood Dog Park (7025 44th Ave E / (941) 748-4501), one of the newer parks in Bradenton, is known for its large open spaces, fresh green grass, and clean facilities. There is an on-site bathroom and a playground to keep the kids entertained for hours so don’t forget the sunscreen! T. Bray Park (5502 33rd Ave Dr W / (941) 742-5923) is more than just a park. There is a fitness center, Olympic-sized pool, tennis courts, and numerous other recreational courts. 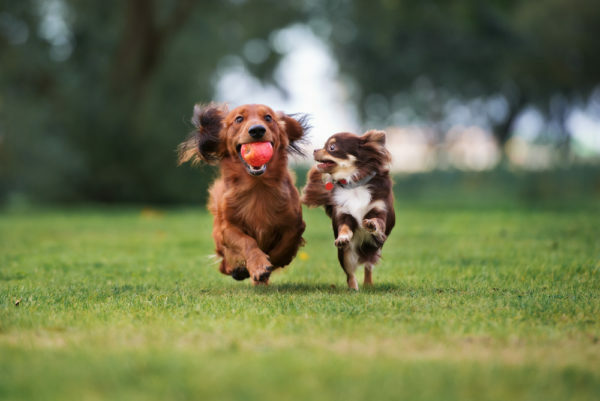 The off-leash dog park, called Happy Tails, is a spacious green space where your furry friend can run free. Robinson Preserve (1704 99th St NW / (941) 742-5923) is a 682-acre preserve filled with mangroves and tidal marshes that have transformed into a fantastic sample of local wetlands. Features include a pedestrian trail, kayak launches, and picnic tables. This spacious park offers great scenery but don’t forget the water to keep your pups hydrated. De Soto National Memorial Park (8300 De Soto Memorial Hwy, Bradenton). Did you know that Manatee County is home to a National Park? The park entry is free and is located along the Manatee River. Not only is the park pet-friendly but the soft, shaded walking trails are wonderful any time of year. If you decide to come in the warmer months, bring your swimsuit and cool off with your dog too. This is probably one of my favorite places to bring my dog. There are sandy beaches and bathroom facilities too. Greenbrook Adventure Park (13400 Adventure Place / (941) 742-5923) is quaint paw park located at the east end of Greenbrook. There is a separate small dog/puppy area, benches, and a doggie drinking fountain. Onsite restrooms and miles of dog-friendly trails offer all-day fun. Summerfield Community Park (8740 E State Road 70) is a popular local spot for a comfortable walk. There are numerous fields available for soccer, baseball, and kite flying as well as winding trails to explore. A spacious playground also offers fun for the kiddos. Bob Gardner Community Park (2710 White Eagle Blvd., Lakewood Ranch) This is a newer park in Lakewood Ranch complete with walking paths and soft trails. Inside this park you will also find a designated dog park to let your dog run and have fun! This park also has picnic tables and a large playground. Bird Key Park (Ringling Bridge Causeway) is not your typical park. Trails wind around the support beams of the bridge which gives an unexpected view of downtown Sarasota. Dogs are welcome to visit while on a leash and there are bag dispensers throughout the park. While unofficial, locals can be found at the eastside beach under the bridge letting their dogs run through the waves off-leash. Brohard Paw Park & Beach (1600 Harbor Dr. S / (941) 861-9830) AKA Venice Dog Beach is the crème de la crème of local dog beaches. This off-leash beach gives your dog a chance to splash around in the refreshing waters of the Gulf of Mexico. The park supplies bags to pick up after your dog and there are water hose stations to clean up your pup after rolling around in the sand. Located about 20 miles south of downtown Sarasota, this beach is well worth the drive. De Soto National Memorial Beach (8300 Desoto Memorial Hwy / (941) 792-0458), located in north Bradenton, features scenic trails through the mangroves and a dog-friendly beach. Some call it off-leash, some call it on-leash so just come prepared for both. Either way, your pup will have a great time cooling off in the refreshing waters. 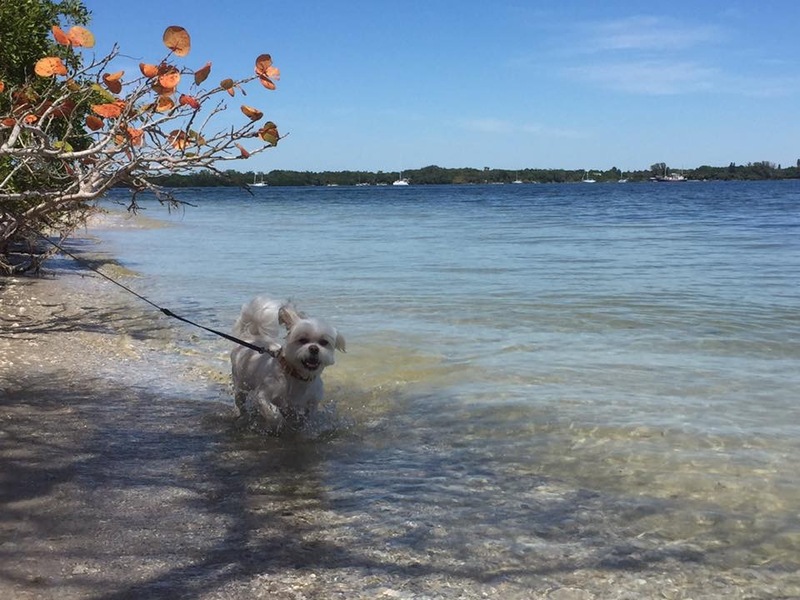 Take a look at the best dog parks in Sarasota and Bradenton. You can find designated parks that are leash free as well as dog-friendly parks in the Sarasota and Bradenton area. There is also a list of dog beaches.